The Jamo S 526 Home Cinema System proves you don't have to compromise either high-quality true surround sound or excellent design if you have a smaller budget to work with. This powerful, 750-watt capable system starts with two S 526 floorstanding speakers with dual woofers for deep bass and compliments them with a perfect match in an S 52 CEN center channel speaker. The compact S 522 speakers provide the enveloping surround sound that puts you in the middle of everything! 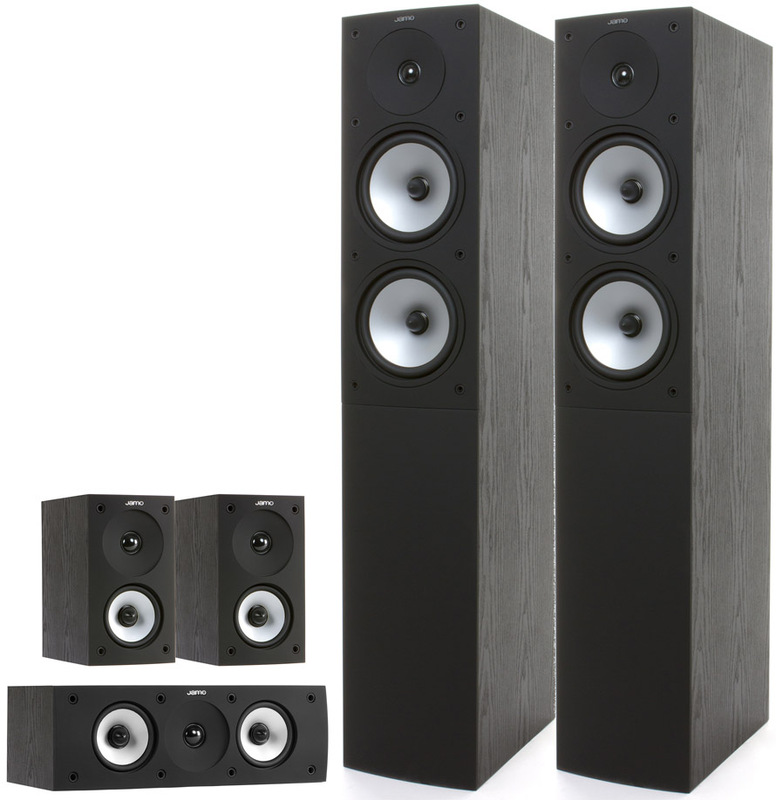 Add an optional Jamo SUB 210 subwoofer for the deepest movie bass effects you can feel. Either way, you have a perfect system for movies, TV or music listening. Available in black ash or dark apple finishes, all speakers are neatly complemented by soft-feel black baffles giving the system a premium and contemporary appearance. The S 526 includes optional speaker spikes while the S 522 and the S 52 CEN have built-in keyhole mounts for on-wall applications. 1-inch (25 mm) soft dome tweeters/6.5-inch (16.6mm) or 4-inch(10.2mm) aluminized woofers. Aluminized woofers: Increases cone rigidity for solid bass. Individually chambered woofers (S 526): Separately housed woofers minimize driver interference.